Win The Ultimate Bondi Getaway! And of course, $200 to spend on taxis between it all! How do you win?! It’s dead easy: just use PayPal to shop online at Country Road and you’re in with a chance to win. Need inspo? 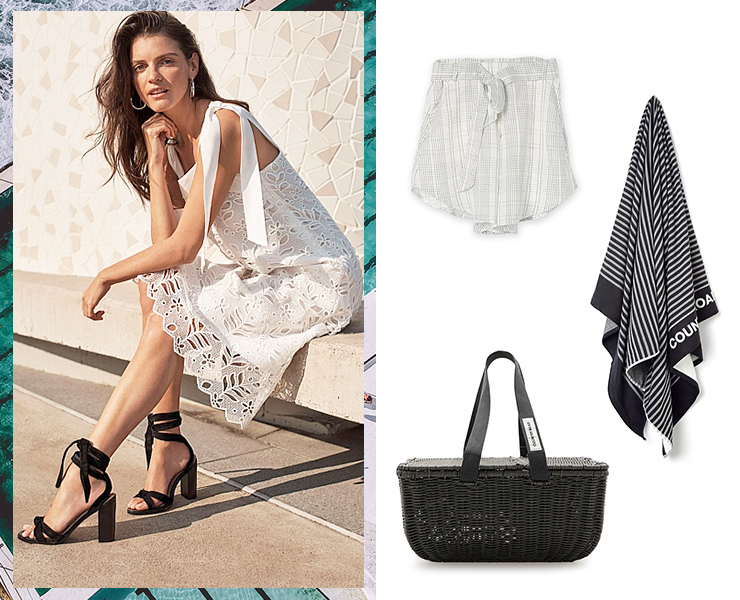 Don’t worry, we got you—here’s four of our top picks from Country Road that are perfect for summer. No summer is complete without that one dress that a) makes your tan pop, and b) can take you from hangover to beach, and back to the bar in one fell swoop. This, ladies, is that dress for 2017/2018. Because let’s be real, guys: it’s not a good look to show up to a picnic with a plastic bag as your picnic basket. Bite the bullet and snap up a picnic basket just in time for summer. Our tip? Load it up with fresh fruit, cheese, and of course ice-cold beers for one hell of a good time. Hands up who ends up covered in sand because their regular bath towel just ain’t cutting it at the beach? Everyone, then….?! We say you can’t do summer without a luxe beach towel, and this one is just that: equal parts huuugge, soft, and luxe, it’s a winner in our eyes. Need even more inspo? Check out what the Bondi locals are vibing here, here, and here and get shopping for your chance to win. Editor's note: this article was produced in partnership with Country Road and PayPal. Thank you for supporting the partners who make The Urban List possible. Click here to read our editorial policy.